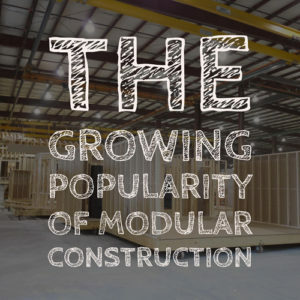 The Growing Popularity of Modular Construction - Commercial Structures Corp. The construction industry is continually changing and evolving, but more builders are beginning to adopt modular construction to its range of benefits. New methods of construction are being developed every year, innovative materials are being used in production, and new ways of doing business are appearing. As the world becomes environmentally conscious and the construction industry becomes increasingly competitive, contractors are seeking alternative methods to help veer away from traditional processes. Modular and prefabricated construction is growing in popularity to the extent that many high profile businesses are taking note and using modular construction for their upcoming projects. So what exactly is modular construction? This type of construction involves creating the structure in sections off site and importing it once it is ready to be installed. Little to no construction is completed on site which drastically reduces the space requirements and labor costs. The majority of the structure will be created in a specialist factory. Once it is complete, it will be transported to the construction site, and a team of fitters will attach the different elements to the desired building layout. Alternatively, whole rooms such as bathrooms or offices could be built off-site as prefabricated units. An outer steel frame would be erected on site, and these pre-built units would simply be “slotted” into place and connected to the mains power, utilities, water, etc. Companies such as Marriot are making use of this type of structure for hotels, apartment blocks and office space. 461 Dean in Brooklyn, NY, is currently the tallest residential modular structure. There is a range of contributing factors as to the increased popularity of modular and prefab construction. It is offering builders more opportunities to be creative while also letting clients have more control and customization. It has taken a combination of favorable economic conditions and benefits to make the industry realize how useful this type of process can be. In recent years the world has seen a global state of recession. Companies and governments do not have the cash flow they once had at their disposal. As modular construction is hugely cost-effective and much cheaper than traditional building methods, it is the perfect method of choice during times such as these. Governments and organizations that have limited funds can make use of prefab construction to reduce their budget and expense. There are hundreds of construction companies all vying for work in today’s market. One project could have a host of different contractors tendering for example. This competitive market means that companies must seek alternative processes and look at ways in which they can gain a competitive edge. This style of designing also allows people to hold off on decisions their not concretely decided on as room can be left to add additions or extra options down the road. Modular construction is a fantastic way to reduce costs and provide a quicker, cheaper end product to the customer. A contractor offering custom modular structures could have a huge advantage over businesses using traditional methods for example. The human population continues to increase, and this can cause overcrowding and a shortage of adequate housing and educational facilities. Governments require housing and schools to be built quickly and in often cramped spaces. Modular structures fill this requirement perfectly – they can be erected in a fraction of the time and take up less space than traditional building methods. Decisions can be made on whether to build on site or just drag and drop structures from the factory; making unique applications much more accessible. Finally, modular construction offers a fantastic level of employee safety in comparison to traditional building methods. As most of the construction is carried out off-site, there are not the associated dangers and hazards that can be found on your traditional building site. Furthermore, factories where prefabricated construction is completed often work to stringent Health & Safety standards. There are many advantages of modular construction, and businesses and organizations across the globe are starting to realize this. We expect to see an increase in this already popular method of construction as the demand for faster custom structures grows. A host of well-known companies are already making use of modular construction for hotels, apartment blocks, schools and even housing for the homeless. 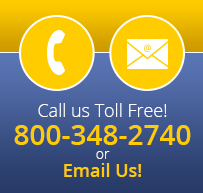 If you’d like to speak with someone from our team to see how our modular building technologies can help you, be sure to fill out this brief contact form!